On the 12th March, Google announced the release of a broad core algorithm update, quickly named by the industry as the “Florida 2” algorithm update, this was then renamed by Google to the “March 2019 Core Update” in order to simplify algorithm update names. Although the algorithm update this saw a lot of reporting after taking place, due to March being a volatile month in regards to rankings, this update didn’t create much of a noticeable difference compared to the movements rankings were current seeing within March. As this algorithm update is a broad core update, there is no specific changes that have taken place to Google rankings, but an overall update intended to improve the overall quality of SERPs. Due to the algorithm update not having a specific focus, it is recommended that in order to optimise rankings following this, users should concentrate general improvements highlights within Googles guidelines, such as EAT and YMYL. Announced on 21st March, Google confirmed that have retired rel=prev/next as an indexing signal. Although this news was announced this recently, Google have also confirmed that they have not been using rel=prev/next as an indexing signal for years and recommend users to just keep using pagination as they have always done. 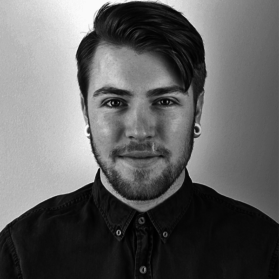 Google have announced support within their mobile friendly and AMP tests for code editing. This update allows users to toggle between entering a URL and adding code to the tool. By adding code to the tool, Google will test this and display results to show if the code is mobile/AMP friendly, or if further edits need to be made to meet the criteria. If users don’t pass these tests, they will be able to edit code within the tool and re-run the tests. 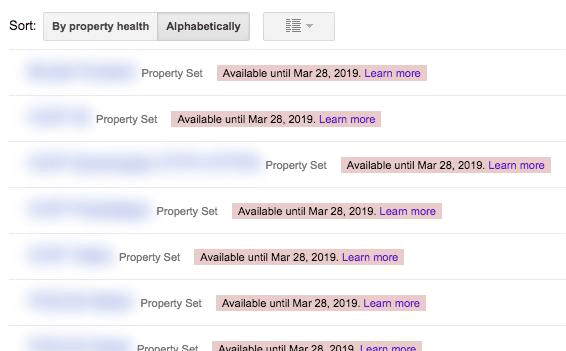 After Google announced the removal of property sets from Google Search Console, discussed in last month’s blog, they have since been displaying notifications to inform users that property sets will be available until 28th March. Although property sets are being removed from the old Search Console interface, these are being replaced by domain properties, which are available within the new Search Console interface. Custom Rolling Dates – These will allow users to set up custom date periods that meet specific needs, such as “last 90 days from yesterday” or “last 52 weeks from last week”. Schedule Email Delivery of Reports – This new feature will send a PDF version of the Data Studio reports to specific users on a pre-determined basis. Version History – Lets users view previous versions of a report and restore the selected previous version of the report, if needed. Custom Canvas Size Per Page – Rather than have all pages uniform in size, this option allows users to have each page of a report a custom size by following this procedure: Edit the report – select page > current page settings > style menu – change the canvas size options from auto to the custom size. Improved Table Formatting – Users will now be able to align columns left, centre and right within tables and can now also resize table columns individually, or resize multiple columns at once by holding shift while resizing. These new features are extremely useful with Data Studio reports and show that Google will continue to provide features that make Data Studio more user friendly and useful.